Available now via the App Store and Google Play, The Lockdown transports players 10 years into the future, where cryptocurrency has become the standard monetary asset, which a hacker has caused to become devalued. From the point of view of a cyber forensics analyst, players must examine clues, such as videos and scraps of information, to track down the location of the hacker. 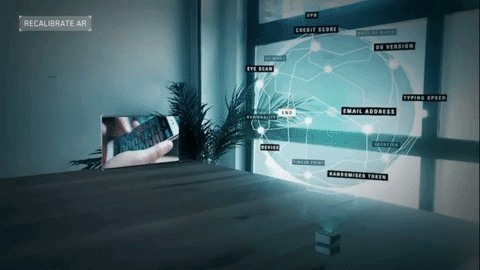 The game is played via a virtual "holodesk" workspace reminiscent of those made famous by the film Minority Report as well as, in some respects, interfaces available via the HoloLens and Meta 2. 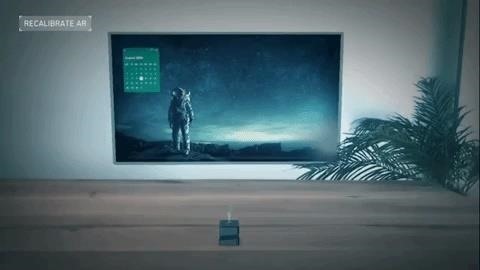 The futuristic interface anchors the player's environment via ARKit or ARCore. While the word gets thrown around loosely these days, it's one of the most immersive mobile AR games I've touched since ARKit launched. But what if I told you this game was actually launched to attract IT professionals to work for a very real European bank? The plot thickens. "The demand for digital talent has increased enormously in recent years. We have invested in order to be relevant to this target group as a bank," said Maarten Bokhoven, the head of employer branding at ABN AMRO, the Netherlands-based banking firm behind the mobile game, in a statement sent to Next Reality. "A distinctive approach is required for this. Innovation is extremely important to us. IT specialists face fundamental challenges and have a major social impact. These are all elements that also appear in The Lockdown." The game was launched at The Next Web Conference last week in Amsterdam with a dramatically staged blackout during an announcement from conference founder Boris Veldhuijzen van Zanten and a video from the game's hacker villain. Attendees were then able to download the game directly via a QR code. The concept was developed by digital agency Code D'Azur, with escape room stagers Sherlocked at Amsterdam-based Beurs van Berlage supplying the puzzle format. "At the bank, as an IT professional, you are engaged in challenging digital innovations. However this is not yet necessarily how IT professionals perceive it," said Jeroen Thissen, creative director at Code D'Azur. "Therefore we had to come up with something that would make us stand out to them. We know these professionals love challenges and are interested in technological innovation. We combined this in the app. ABN AMRO placed their trust in us to develop the escape room of the future. And we are extremely happy they did." Developing a mobile game as a solution to a practical business problem seems like a surprisingly unique approach for a bank to take, but it is not necessarily a new approach. The concept of gamification has a gained popularity in recent years as a means to educate or engage audiences and achieve business objectives. 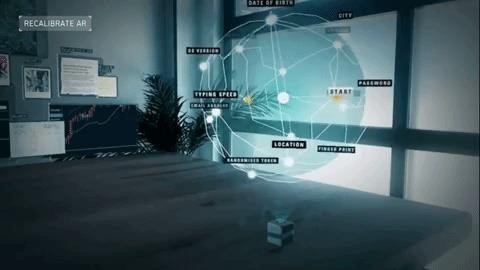 Despite ABN AMRO's motivations, the bank gets credit (pun intended) for giving us a taste of the future of AR gaming as immersive storytelling in a game available today.